Candidates are like the rest of us, they are served by their own self-interest. So think like them. Think about what they are looking for in a company as well as a position. They care about where the location is, what department they will be working in and flexibility (part-time or full-time). It’s not enough to have these details in the job description — these are details candidates want to filter their job search by. 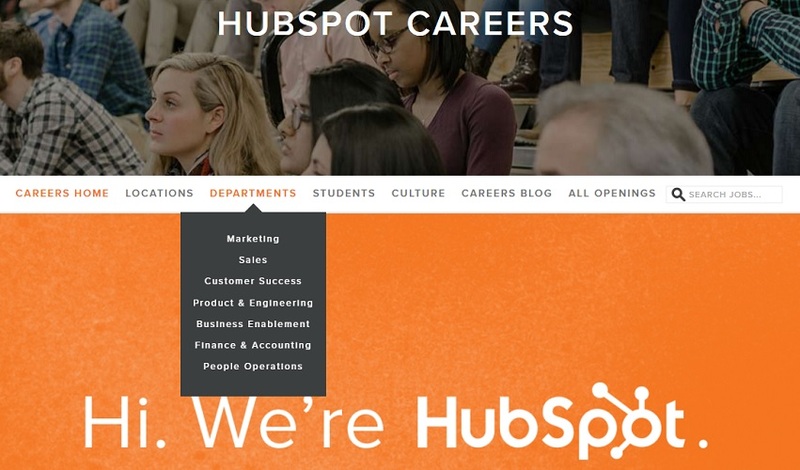 Check out Hubspot (image below) and how they have drop-downs specifically for locations and departments creating a quicker more targeted search for the candidate. I continue to be amazed at how many different company career pages do not have the ability to easily browse and filter job openings by location and department (or sometimes they have it but it’s just hard to find). 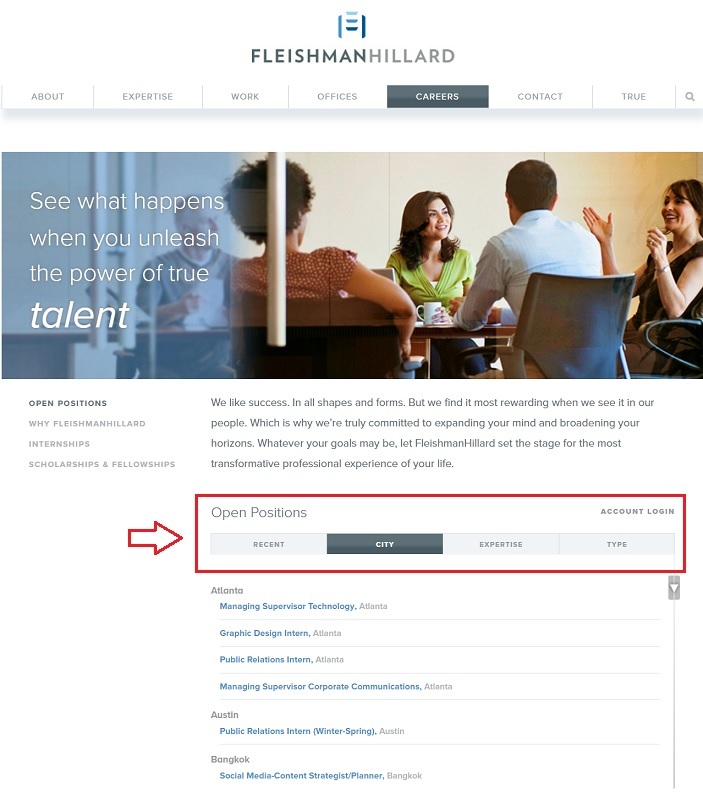 Take a look at FleishmanHillard’s careers page and how they have their search filters set up. They have searchable filters for 4 different job specifications including City (Location), Expertise (Department), Type (Part-time, Full-time, Intern), Recent (Open Positions). FleishmanHillard also has a cool feature on their job descriptions where you are provided jobs in the same location/department in a sidebar, making the experience easier and better for the candidate.